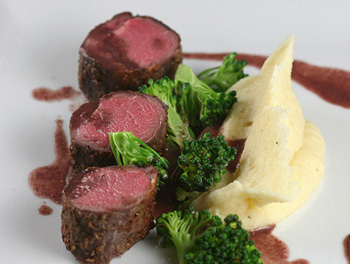 Sous vide cooking is a new method of preparing food that can be cooked for long periods of time at a constant temperature. The food is first vacuum sealed in a plastic bag and then inserted into a warm water bath at a constant temperature for a pre-determined set of time. Because of the exact temperature proteins can be perfectly cooked throughout. 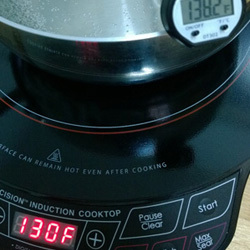 Sous vide is an excellent method to cook meat. What is missing is a maillard reaction surface on the protein. This can be attained by either sauteing on a high flame or using a blowtorch after the meat is removed from the plastic bag. De boned Rack of Lamb is cooked Sous Vide at 137F for 2 hours. The lamb is then coated with powder Shitake Mushrooms and sauteed in olive oil giving a wonderful coating. The bones from the rack of lamb are used to make a rich stock for the wine sauce. Mashed potatoes are made Robuchon style. 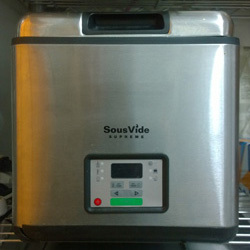 Sous Vide Cooker-- Today, most high end and modern restaurants use sous vide in their kitchens. 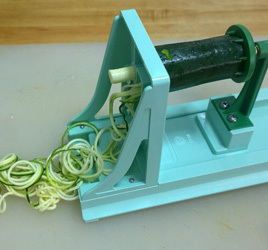 Spiralizers and Slicers -- Coq Au Vin in several of his restaurants. It is a staple at Bar Boulud in Manhattan. 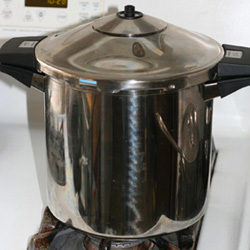 Pressure Cookers --Daniel Bouludral of his restaurants. It is a staple at Bar Boulud in Manhattan. 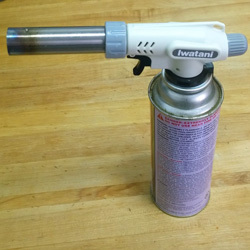 Cooking Blowtorches are useful in getting the sugar crust on Creme Brulee and finishing meat and fish dishes after using Sous Vide Technique. 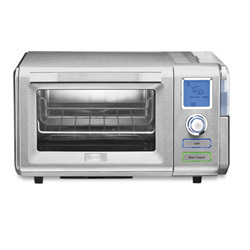 Combo Steam/Convection Oven -- Steam heat cuts cooking time by as much as 40%. 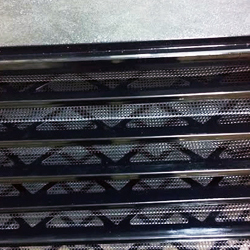 It also allow egg custards to be cooked without the need of a water bath. 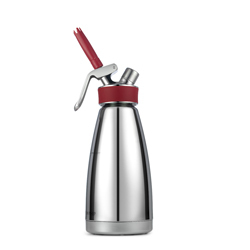 Whipping Siphon- This is becoming one of the necessary tools for easy foam.